The six pairs are going to be based on Houses Targaryen, Stark and Lannister, the White Walkers, the Night’s Watch and Daenerys. 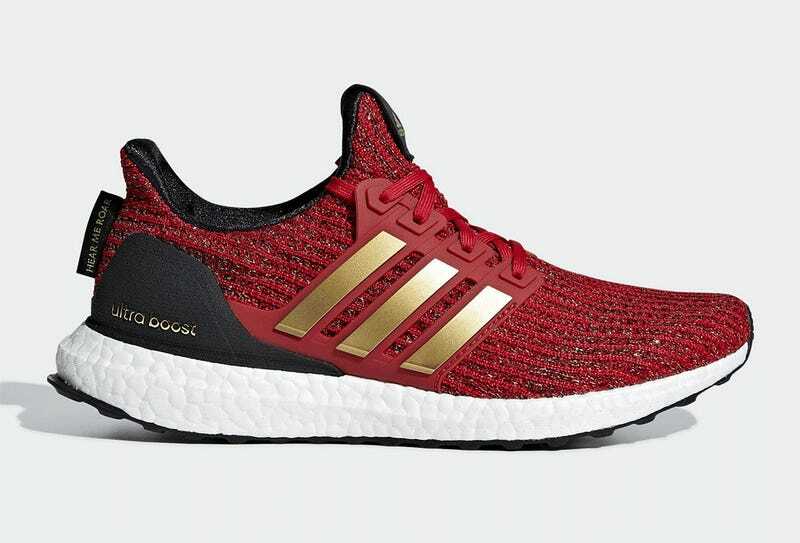 They’ll all be appearing on Adidas’ Ultra Boost 4.0, which usually sell for $180, though collaborations like this can sometimes push that to $200 or even a bit more. No word on a release date yet (it’ll probably coincide with the show’s return in April), but there are plenty more pics over at Sneakernews. I’m still bummed these aren’t based on the original and superior 1.0 Ultra Boost, which Adidas is still releasing for select collaborations, but there are still some nice touches on these that elevate them above a standard 4.0, like extra material on the toe on some and premium cages on some others. Kotaku.com, a website about sneakers. iPad Review: Is This A Capable Gaming System?